The Law Office of Michael M. Monopoli has been serving the citizens of Massachusetts for over 30 years in a variety of criminal defense cases. Thousands of cases have come through the office and across the desk of these highly experienced attorneys who make it their priority to assist you in all your defense cases in Worcester, Framingham, Marlborough and the surrounding areas. 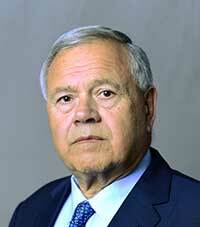 Michael M. Monopoli is a graduate of the Holy Cross College in 1970 and then Suffolk University Law School in 1974. He quickly became a member of the Massachusetts Bar and started practicing with the prestigious Massachusetts Defenders Committee. He moved to become the Assistant District Attorney in 1976 for Worcester County. He has worked in both the District and Supreme courts in a variety of criminal defense cases. In December of 1979, he moved to his own private practice where he is still practicing law today. Michael has such awards as being voted the “Super Lawyer” by the Boston Magazine and he was inducted to the Fellow of American College of Trial Lawyers in 2002. 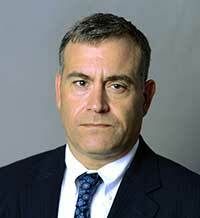 Also listed as a part of the “Super Lawyers” in the Boston Magazine, Mark Monopoli joined the practice in 1995. He graduated from the New England School of Law and was a member of the Law Review there. He is a member of the National DUI Defense and is in the courtroom on a daily basis helping to defend those who are charged with a crime. Both of the attorneys have taught seminars and classes to others who are in the field or you wish to become criminal defense attorneys in Worcester County. From the moment you contact the office, you’ll find an inviting atmosphere that is here to assist you. The team works diligently to not only defend you in a criminal case but also to inform you of the criminal proceedings and keep you updated on how the process works. The team strives daily to defend you to the fullest extent of the law and to help you be found not guilty. The team at Michael M. Monopoli OUI and Criminal Defense Law Firm want to make sure that you can move past this tragic event and move forward with your life. Our team will assist you in every way possible from the first step to the last. Contact the Law Offices of Michael M. Monopoli today to see how the highly trained and experienced team in place can put their knowledge to work for you. If you’re in need of a criminal defense attorney in Worcester County or an OUI lawyer in Framingham, our team has got you covered. Call the office today to find out more about this team’s abilities and assistance.